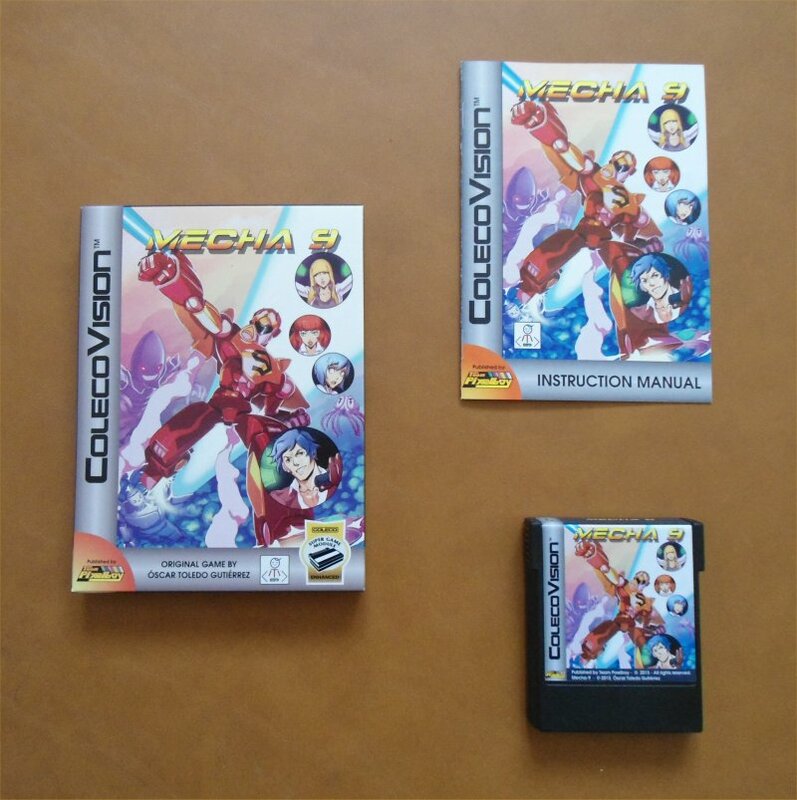 Discover the untold story of the Mecha-8 saga! In Mecha-8, you were cast as hero mech pilot Tricia Thunder, responsible for stopping the alien invasion that threatened our planet. 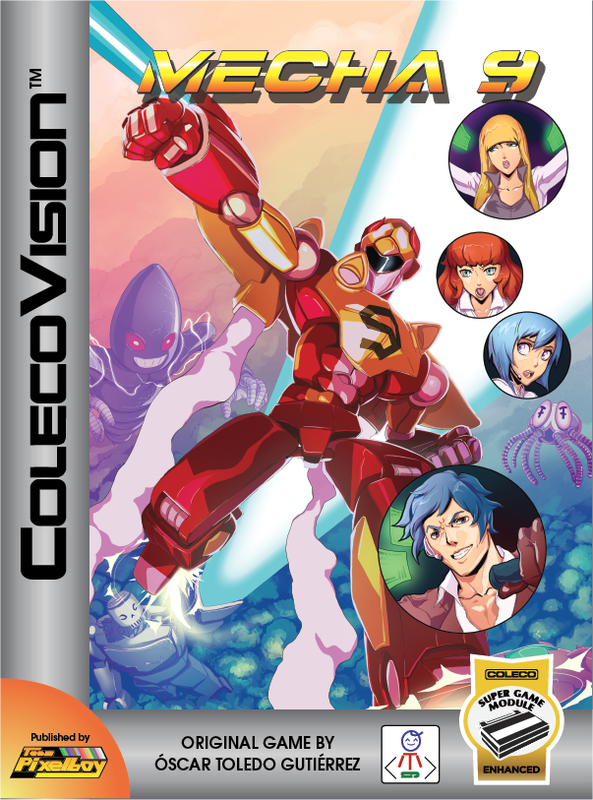 This game tells the story of Ryan Rock, the pilot of Mecha-9, who also played a significant role in that historic battle while Tricia Thunder was on the front line. As Ryan's story unfolds, you will be faced with a non-stop stream of alien attackers of all shapes and sizes, including large robotic bosses that would give anyone else nightmares! Luckily, Mecha-9 is fully equipped to take on this challenge, and you can upgrade your power levels by collecting power capsules from destroyed enemies! 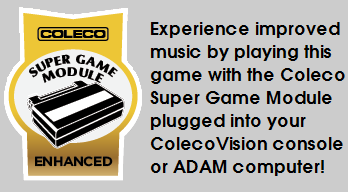 When Óscar Toledo Gutiérrez learned that 2015 was going to be my final year as a publisher of ColecoVision homebrew games (it actually turned out to be 2016) he told me he wanted one more of his games published by Team Pixelboy while he still had the chance, and I told him I would be happy to oblige, as long as the game would be ready by the end of the year. 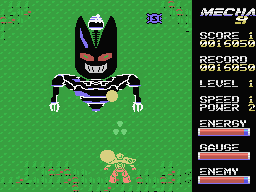 Óscar mulled over what type of game he wanted to do, and he eventually decided that what he wanted the most was to code the sequel to his previous game, Mecha-8. 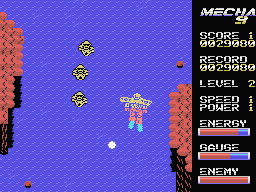 Here is a YouTube video of the ColecoVision version of Mecha-9.